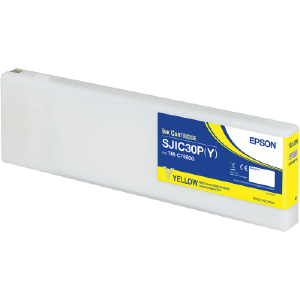 This is a pigment based (UV stable & water resistant*) Epson ULTRACHROME DL yellow ink cartridge for use in the Epson C7500G printer. 300ml capacity. #COMPATIBLE MEDIA#The pigment ink in this cartridge is compatible with a limited range of label media, typically it is essential that only gloss or semi-gloss media is used both in paper and synthetic form. This ULTRACHROME DL pigment ink is specially formulated to cure (dry) properly on gloss or semi-gloss media. Use of this ink on matt media will yield unpredictable results. The ink in this cartridge is not compatible with thermal transfer label media or any media which does not have an inkjettable top-coat.